This white paper provides an outline for a clear and simple path to unlock the value in a company’s “Big Data” store of operational transactions. The rapid evolution of Big Data technologies has led to “analytics paralytics” at some manufacturing companies. A practical, “how to get started” guide is sorely needed right now. Get up to speed on Big Data technologies and trends. See where to start using the new technology. See how to avoid the pitfalls and bumps along the road. Learn how to build an effective team with a focused project lead. 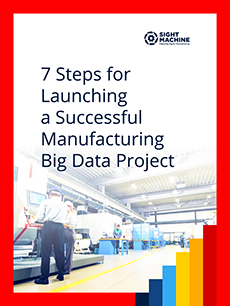 Here’s your chance to obtain this informative paper, sharing 7 tips for successful implementations of Big Data strategies at manufacturing companies. Start building a successful strategy today!